This week in gaming: Australia considers updating its classification system, Blizzard raises heaps for charity, the NBN is helping local Esports growth, and more! In the spirit of keeping our readers up-to-date with what’s going on in the video game industry, the Doublejump Digest is a brief collection of the major news stories that happened in the past week. Keep an eye out for the Digest every Sunday night, and head into the archive if you’ve missed any! Our first Multiplayer offering on the new website was a look at the hits and misses from this year’s Electronic Entertainment Expo. Devil May Cry is back, and John had a look through exactly why that’s an awesome thing. Nick reviewed Dungeon Gambit Boy, which is addictive as all hell – but not in a good way. A spokesperson for the Department of the Communications and the Arts has told Kotaku Australia that it has begun discussions about “modernis[ing]” the country’s controversial media classification rules. Later in the statement, the spokesperson noted that the Department also plans to “consult extensively with industry stakeholders and community organisations” during the review process. 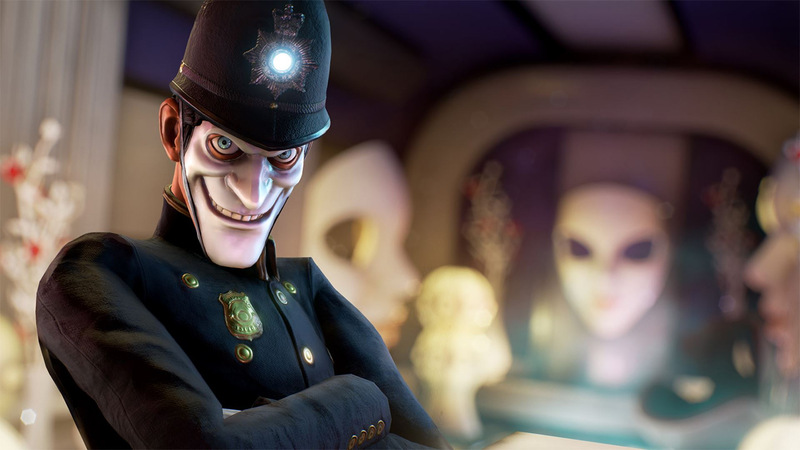 This statement came not long after the country’s Classification Board announced that it had reclassified Compulsion Games’s We Happy Few as an R18+ title following a second review of its content. The game was originally Refused Classification due to its allegedly positive portrayal of drug consumption as an incentive, which effectively banned it from being sold in Australia. The company announced that it raised the amount for the Breast Cancer Research Foundation through sales of an in-game Pink Mercy skin as well as a limited edition Pink Mercy t-shirt through its online store. Blizzard fans also contributed a further US$130,000 in donations by watching popular Overwatch streamers on Twitch. When combined, the the total donation is the largest annual corporate donation in BCRF history. Speaking with ABC News last week, Australia Esports Association President Darren Kwan noted that the improved internet speeds provided by the National Broadband Network has created a “fair playing field” for competitive online gaming. “The NBN has started levelling out that playing field where more and more players are able to actually equalise what that speed is when they’re connecting,” he explained. Kwan later added that widespread access to high-speed internet has allowed more players to train and compete online, leading to “increasing” salaries and wages “for players and their support staff, coaches, and managers”. When asked for his response to recent comments from BN Co chief Bill Marrow regarding gamers bottlenecking the NBN, Kwan said that players were simply putting the improved online infrastructure to good use. Pop! Vinyl manufacturer Funko has taken to its blog to announce that it will finally release its first Pokémon-themed figurine. Fan favourite Pikachu is the first figurine to be revealed and is slated for release in the US later this month. The company has yet to announce an official Australian release date. P.T. for PC creator Qimsar told fans that he has taken down the project following a cease-and-desist request from P.T. publisher Konami. Qimsar claimed that the person told him that the Japanese publisher “a strong resurgence of a desire to make legitimate games again” due to the popularity of his remake project and that he was offered an internship position for his efforts. Konami has not formally announced any plans to reinvest in creating new original games as of this writing. Ubisoft has begun issuing immediate bans to players caught using discriminatory slurs online (via PC Gamer), with the company confirming the move to disgruntled players taking their complaints to Twitter. According to the game’s recently updated Code of Conduct page, first offenses result in 30-minute bans, second and third offenses result in two-hour bans, while subsequent offenses will be investigated and “may lead to a permanent ban”. Developer Digital Extremes made the announcement earlier this month at TennoCon, its convention dedicated to the popular multiplayer action title. The company has enlisted Panic Button to handle porting duties, with the studio having previously brought over Rocket League, DOOM, and Wolfenstein II: The New Colossus to the system. James Ohlen, who started out working on Baldur’s Gate and Baldur’s Gate II before moving on to serve as lead designer and creative director on such titles as Star Wars: The Old Republic and Star Wars: Knights of the Old Republic, made the announcement on Twitter earlier this week. He’s removing himself from the video game industry altogether to work on “something smaller and more personal”: a company focused on producing Dungeons & Dragons campaigns. Doublejump wishes James all of the very best with this new step in his career! Less than one month to go, folks! I’m not sure if “Joy” is the right word for what I’m feeling. Venus hasn’t looked this pretty since back in Destiny. This article was originally published on Doublejump.